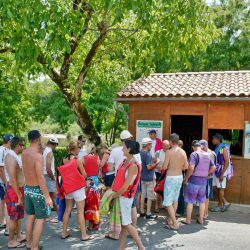 Near Sarlat, the 3-star campsite La Bouysse is ideally located on the banks of the Dordogne. Nature lovers can go down the river by canoeing or fishing. 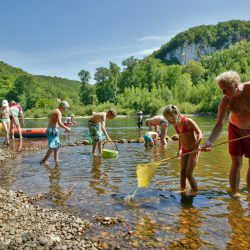 Enjoy your holidays near Sarlat and the charm of Périgord. 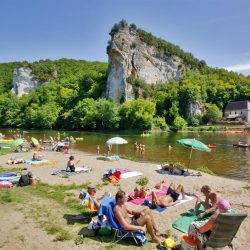 You can swim in the Dordogne and relax on the natural beaches of sand or pebbles located along the campsite. 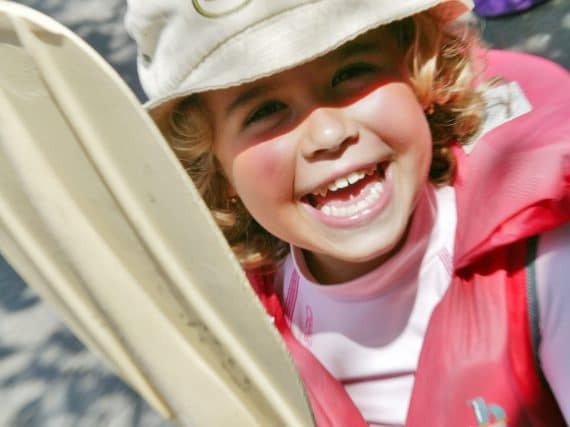 Fishing enthusiasts can practice their favorite hobby in a superb and preserved environment close to their location (fishing card for sale at the reception). 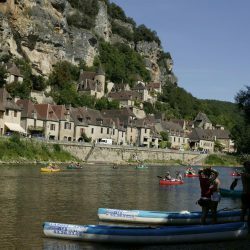 Discover the Périgord Noir family canoe kayak (from 5 years), browse the Dordogne and stop at your whim on a beach or at the foot of the Most Beautiful Villages of France such as Roque-Gageac, Castelnaud or Beynac. 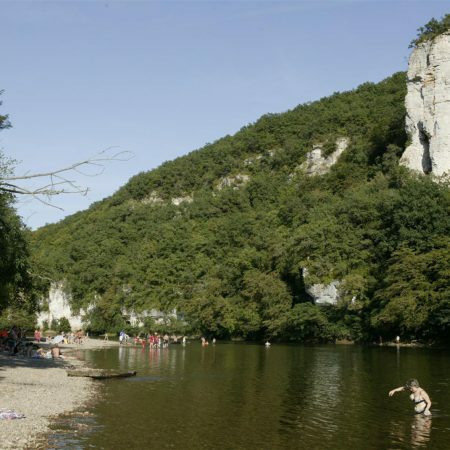 .. the “Route des Châteaux” reveals an exceptional natural and historical heritage!